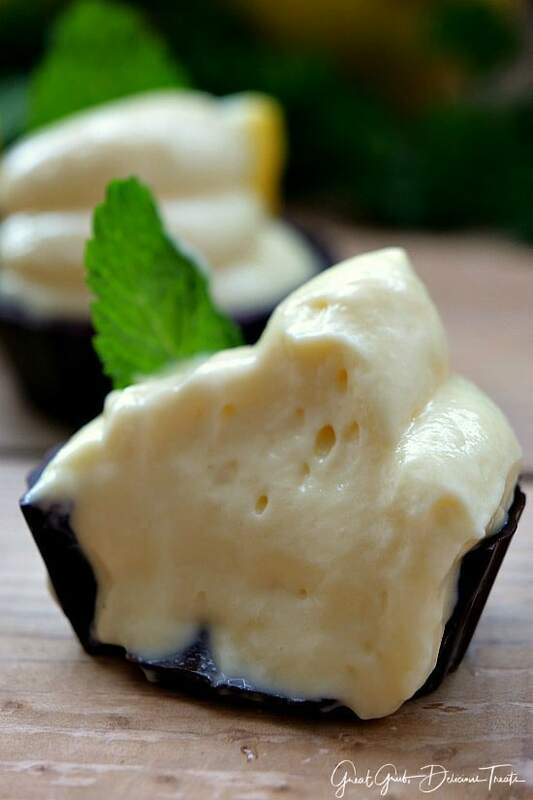 These amazingly delicious cream cheese lemonade dessert cups are incredibly creamy, lemony, and lip-puckering tart all cradled in a delicious Belgian dark chocolate dessert cup. 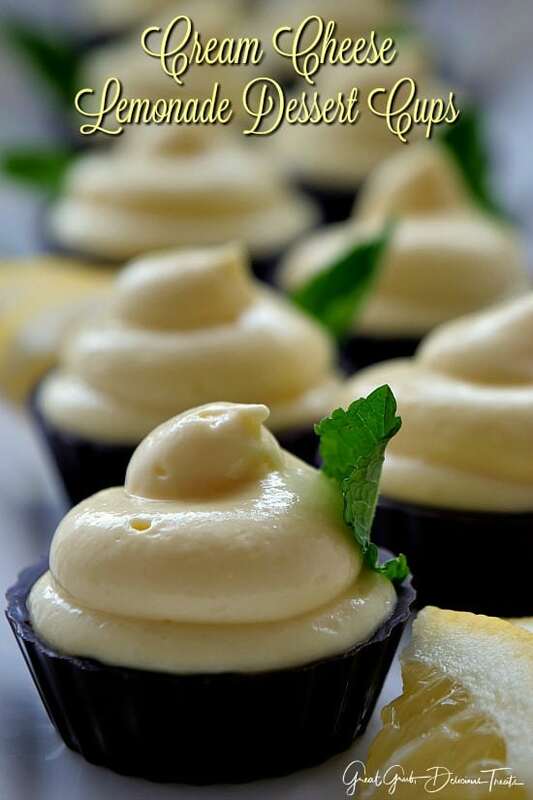 Two great flavors in one scrumptious easy dessert. What can be better than that? 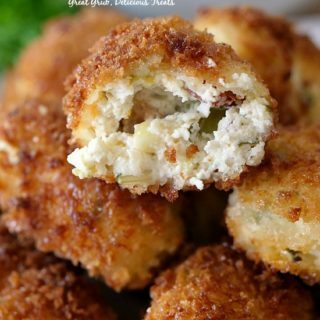 On a hot summer day, these are a perfect little bite-sized snack that are no-bake and absolutely delightful. 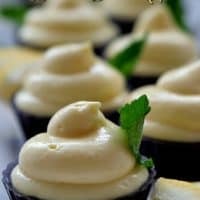 Refreshing with that lemony tartness, that you will not be able to get enough of, and paired up with the delicious rich, dark chocolate dessert cups making these a super delicious treat. 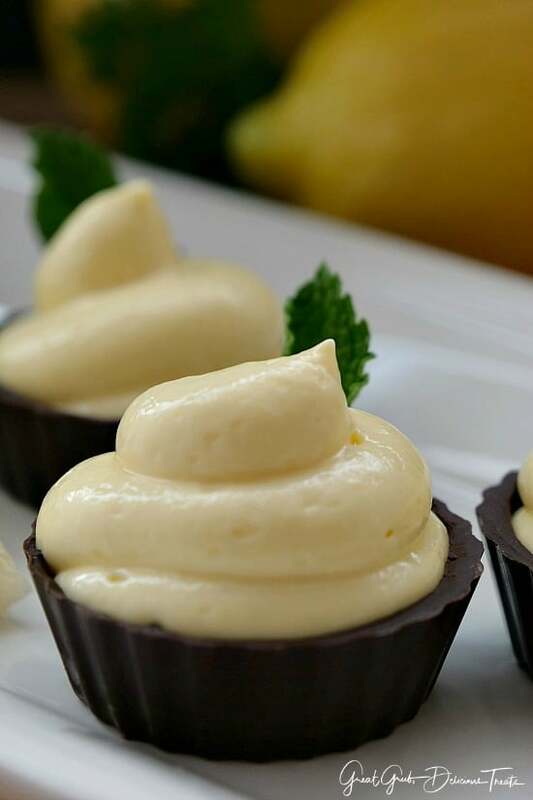 It literally takes less than 10 minutes to make the lemonade filling, then pop it in the fridge for about 4 hours to chill, and then pipe this tasty lemony tartness into each chocolate cup, top with a decorative mint leave and a tiny slice of lemon. 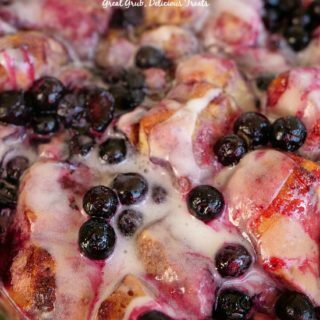 This is a wonderful, refreshing, easy dessert recipe everyone will love that actually only takes about 20 minutes total to make, minus the chill time. 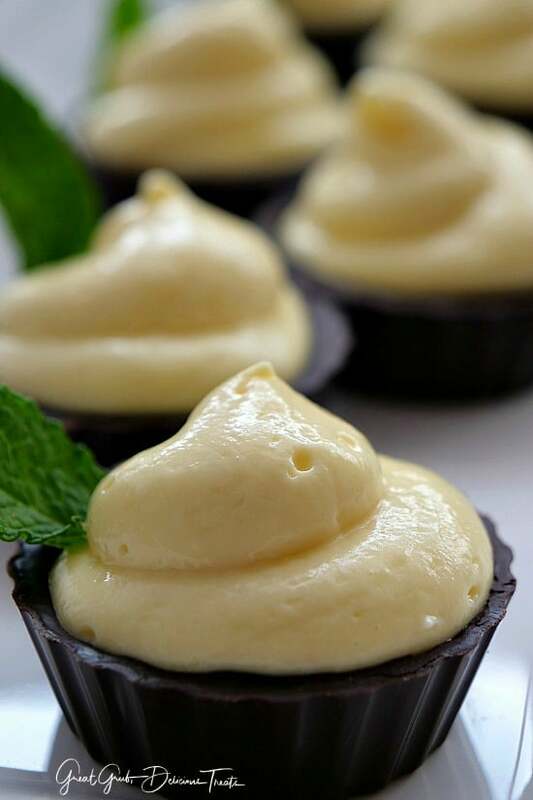 No-bake desserts are perfect for a quick treat and these cream cheese lemonade dessert cups are definitely full of lemony goodness. So creamy, so tart, so delicious and super easy to make. One tip is that these little gems need to stay cold. So make sure to keep them in the fridge until ready to serve. 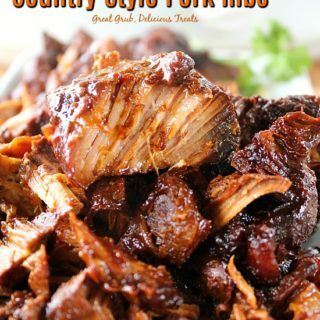 Don’t forget these are perfect for family get gatherings, potlucks and picnics especially during the hot summer season. 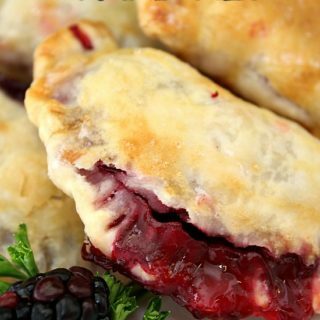 Here are a few more delicious desserts on the blog: Cream Cheese Lemonade Pie, Orange Cream Cheese Pie, Cream Cheese Coconut Key Lime Pie, Cherry Cream Cheese Lemonade Mini Pies, and Strawberry Cream Cheese Pie, plus a lot more delicious desserts. In a medium mixing bowl, beat cream cheese for 3 minutes. Add frozen lemonade concentrate and beat until combined. In another medium mixing bowl, beat evaporate milk and instant pudding together for 2 minutes until it becomes extremely thick. Mix pudding mixture into cream cheese mixture, beat until well combined. Cover and place in the refrigerator for at least 4 hours. Once chilled, using a large gallon size baggie, cut the corner and place a decorating tip through the hole. Place baggie in a large cup or bowl and spoon lemonade mixture into bag. Once the bag is filled, remove the air and seal shut. 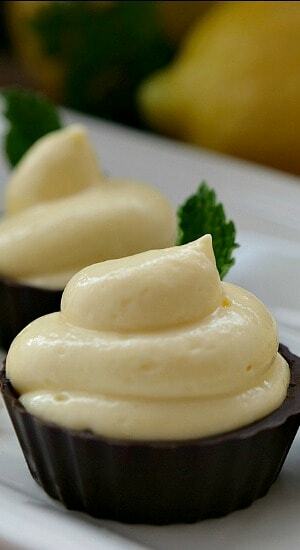 Pipe cream cheese lemonade filling into each chocolate dessert cup. 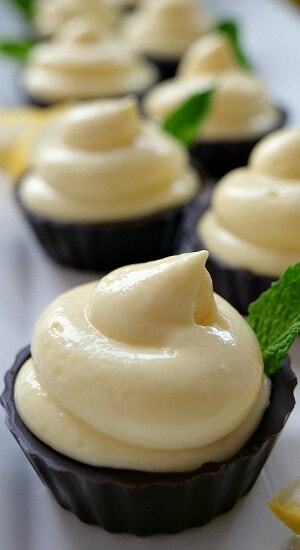 Optional: garnish with a mint leave and a small lemon slice to each dessert cup. Place back in fridge until ready to serve. Serve cold. 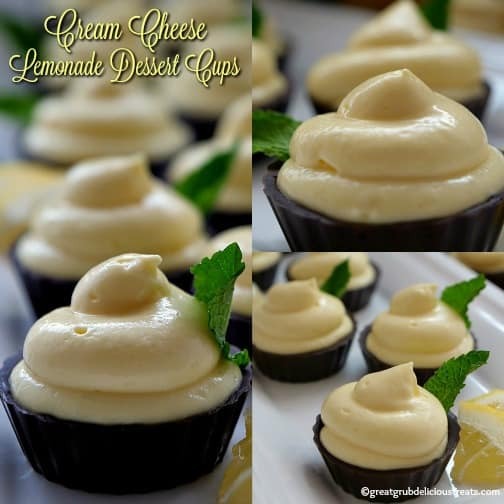 Mmmm…These cream cheese lemonade dessert cups look so incredibly scrumptious! I’m prepping a dessert table for my husband’s birthday party this weekend, and these darling little desserts will be the star of the show! 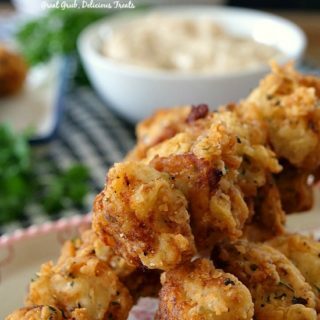 Thank you so much for sharing your special recipe. 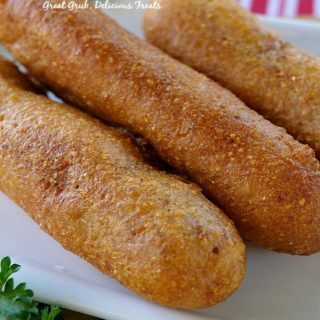 I can hardly wait to make them! Where can you buy the chocolate cups? I am not familiar with them but they sound fantastic!